DALLAS, TX – November 18, 2016 – The Sixth Floor Museum at Dealey Plaza and WBAP 820 AM, a Cumulus Media radio station, are pleased to announce the donation of 21 original recordings of the events and coverage on WBAP Radio leading up to, including and following the assassination of President John F. Kennedy on November 22, 1963 to the Museum’s collections. These original “day-of” recordings are key materials documenting how this historic news event was reported to local audiences in 1963. The WBAP 820 AM JFK Assassination Coverage Collection donation was spearheaded by longtime WBAP Operations Manager Tyler Cox, in the interest of preserving history. The recordings will be officially transferred to the Museum on Monday, November 21 at 10:30 a.m.
WBAP’s coverage on November 22, 1963, began with reporting from the Hotel Texas in Fort Worth, including a full broadcast of the president’s remarks from the hotel’s parking lot. It then followed President Kennedy’s entire morning in Fort Worth, including his remarks at the Chamber of Commerce breakfast, demonstrating the excitement and fanfare of the president’s visit to Texas. In Dallas, WBAP’s coverage began with the president’s arrival at Love Field and led up to a breathless report from WBAP reporter Bob Welch, who, as he raced behind the presidential caravan to Parkland Memorial Hospital, provided the most immediate coverage following the assassination that is known to exist. “It’s not known for sure, but it’s believed that President Kennedy has been shot,” he reported. 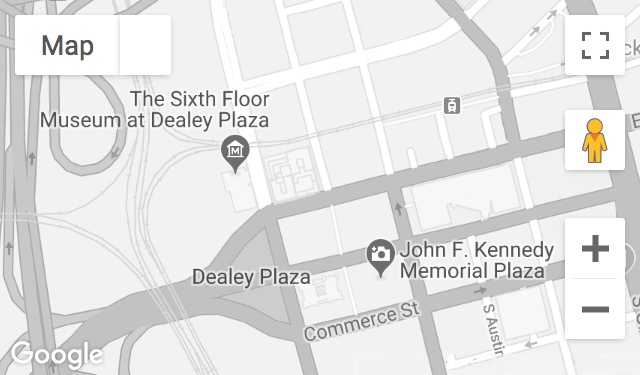 The Sixth Floor Museum at Dealey Plaza chronicles the assassination and legacy of President John F. Kennedy; interprets the Dealey Plaza National Historic Landmark District and the John F. Kennedy Memorial Plaza; and presents contemporary culture within the context of presidential history. The Museum serves as an impartial, multi-generational destination and forum for exploring the memory and effects of the events surrounding the assassination of President Kennedy, through sharing his legacy and its impact on an ever-changing global society. Located at 411 Elm Street in downtown Dallas, the Museum is open Monday 12 p.m. to 6 p.m. and Tuesday – Sunday 10 a.m. to 6 p.m. Audio guides for the permanent exhibit are included with admission and available in English, Spanish, German, French, Brazilian Portuguese, Japanese and Mandarin Chinese, as well as American Sign Language. For more information, visit www.jfk.org or call 214.747.6660. Follow the Museum on Facebook, Instagram, YouTube and Twitter. WBAP News/Talk 820 AM, the News and Talk of Texas, is a leading AM News/Talk radio station owned and operated by Cumulus Media and serving the Dallas-Fort Worth Metroplex with outstanding News/Talk programming and marketing solutions. A leader in the radio broadcasting industry, Cumulus Media (NASDAQ:CMLS) combines high-quality local programming with iconic, nationally syndicated media, sports and entertainment brands to deliver premium content choices to the 245 million people reached each week through its approximately 450 owned-and-operated stations broadcasting in 90 US media markets (including eight of the top 10), more than 8,200 broadcast radio stations affiliated with its Westwood One network and numerous digital channels. Together, the Cumulus/Westwood One platforms make Cumulus Media one of the few media companies that can provide advertisers with national reach and local impact. Cumulus/Westwood One is the exclusive radio broadcast partner to some of the largest brands in sports, entertainment, news, and talk, including the NFL, the NCAA, the Masters, the Olympics, the GRAMMYs, the Academy of Country Music Awards, the American Music Awards, the Billboard Music Awards, Westwood One News, and more. Additionally, it is the nation’s leading provider of country music and lifestyle content through its NASH brand, which serves country fans nationwide through radio programming, exclusive digital content, and live events. For more information, visit www.cumulus.com.